Wouldn’t it be nice to be able to talk to your cat? Well,you might not realize it, but your cat is definitely talking to you. We have noticedthat cats have a certain type of body language, and you can actually know whatyour cat is saying by deciphering these movements. Whether it’s the way theymove their tail or the way they tilt their head, almost every movement thatyour kitty makes is its attempt to communicate with you. We have taken a good look at cat communication, and we havecompiled a list of different things that cats are saying with their bodylanguage. These are very interesting actions, and we really can’t believe wenever noticed number 5. Sit back, grab your cat, and keep reading to see thetop 11 things your cat is saying with its body language. One of the most common behaviors of a cat is rubbing itshead on objects, including you. If you have a cat, you have probably noticedthat he or she does this often. What does it mean? 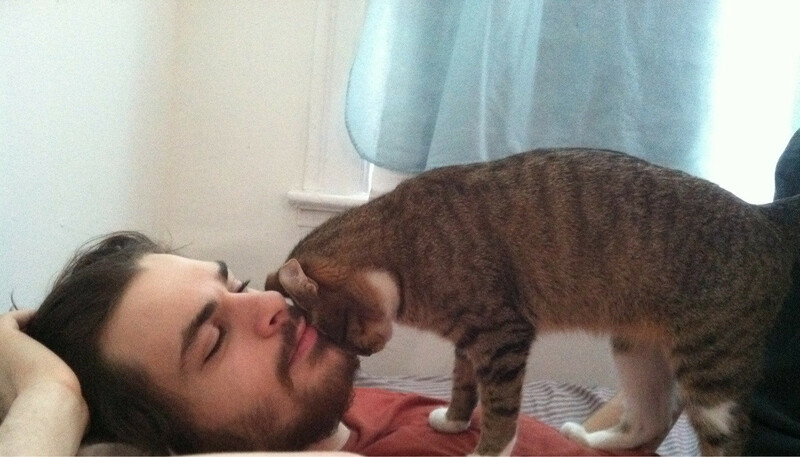 Well, your cat is doing thisbehavior because it is trying to mark you with the pheromones that come fromits cheeks. A cat has oil glands on its head, and when they rub their head onsomething, they leave the scent of this oil behind. What is your cat saying? It’s saying it loves you and ismarking you as its own. You can return the favor by scratching its head.